NDPHR member, Mr Sayad living in Sydney confirmed that 7 of his villagers of Tararo Kondan (Sarapran) including his youngest brother Khairul Amin and 2 INGO staffs were brutally beaten by military forces in relation to tele-communication. Meanwhile, the military discovered a cell phone from Khairul Amin and the rest 6 other who used it and accusing for informing to central authority and others. The military provided 50 bags of rice for more than 500 Rohingya villagers but the source can't confirm it came from who. Morning: A Rakhine man who was going to buy foods for Rohingya, was beaten by a group of Rakhines in front of the Enterprise own by Aung Tan at Minbagyi Road. Evening: A Rakhine man who was going to torch with patrol bottle was arrested by military from Minbargyi Road of Aungmingala Quarter (Mole Fra). An hour later, military sent him to police station No. (1) after police did not arrive to take as a result of it own Rakhine. 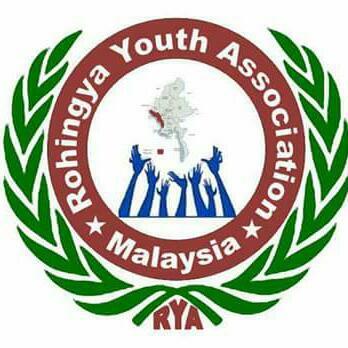 The authority locked one of the Rohingya leader, Bsc Hla Maung's house in the Ambala Quarter area (down-town) since the past two days. A reliable source confirmed that despite Muslim community from Yangon delivered the aid of 400 millions Kyat for homeless hunger Rohingyas of Arakan state during the past two weeks, no aid is supplied for Rohingya. The source also confirmed that a few staffs from NGOs had visited Rohingya Refugees camps along Darbaine and Thakkaybyin villages in the past week and after that they received only about 0.2 Kg of plane rice once per each. The various staffs of NGOs and governmental departments are visiting on daily basis at the relief centres of where Rakhine people are'. Afternoon: A dead body of Rohingya woman was discovered from the box of a Rakhine house in Toe Shay village (extended or new village) of Ambala Quarter. The dead body was discovered by military after military heard screaming voices of Rakhine women from the house. It is confirmed that the body was chopped into picies by Rakhines and placed into the box. The reason Rakhine women were screaming was they suffered night-mare and dreamt with the dead body. The body was handed over to muslims and local reporters and authority were arrived in the scene.